College mechanics for crews of 7 and 8. College Football mechanics are changing. 8-person crews are increasingly being used in conferences nation-wide. To make the transition seemlessly, officials need a firm grasp of what the differences are between 8-person and 7-person crews. 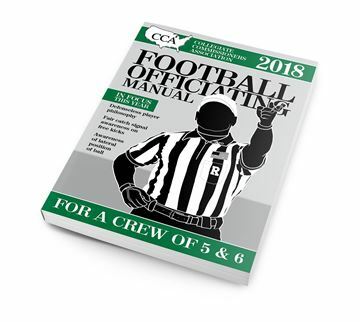 To fill this need, the CCA has combined the Crew of 7 and Crew of 8 manuals into one fantastic learning tool. 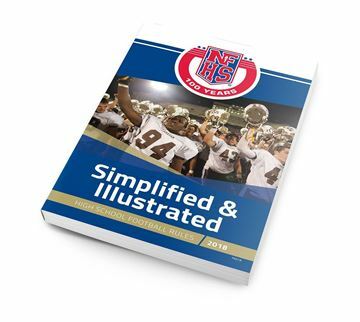 It is meticulusly created and continually uptdated to be your complete source for official college mechanics. It is the source from which clinicians will draw lessons and from which supervisors will create evaluation criteria. 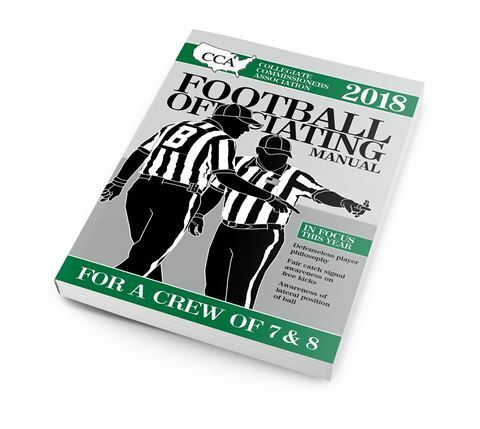 Any official serious about success at the collegiate level must study with the CCA manual in order to develop the skills necessary to excel.